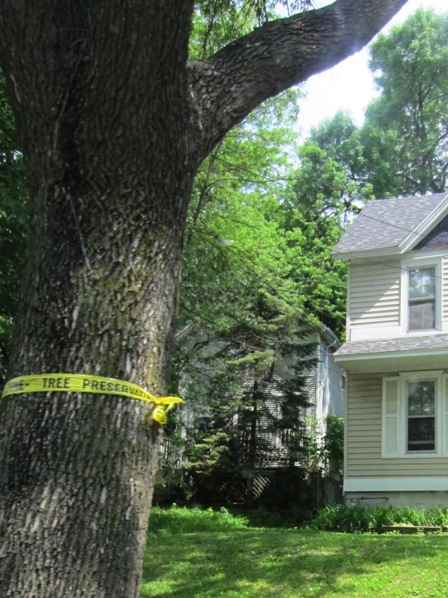 Tree preservation zone, Madison WI – Perhaps San Francisco can do this too? $2 million to increase tree maintenance in our parks (Recreation and Parks Department). Rec and Park has only enough staff to maintain an average of 750 trees per year – out of a total of 131,000 trees in our parks. With an aging tree population, we are approaching a crisis of hazardous tree conditions in our parks. This funding will allow Rec and Park to increase tree maintenance to address hazardous tree conditions before these trees cause damage or injury and to better ensure the long-term health of all park trees. $2.6 million to expand Park Patrol (Recreation and Parks Department). Currently, there are no more than two Park Rangers per shift to patrol all 220 of San Francisco’s parks. The increase in patrol officers would provide one dedicated Park Ranger on 24/7 patrol for each of the six Park Service Areas throughout the city. With more coverage of our parks, Park Rangers will be better equipped to enforce park rules and address the nearly $1 million in graffiti, property damage, and illegal dumping that occurs in our parks every year. $2.7 million to landscape maintenance and cleaning in our public spaces (Department of Public Works). Years of staffing cuts have left DPW with insufficient personnel to keep our streets, sidewalks, and public spaces clean and our green landscaping thriving. Getting the debris and waste cleaned off our sidewalks and out of our public spaces is a primary responsibility of city government. These funds will increase landscape maintenance staff and cleaning crews to make our neighborhoods cleaner and healthier. The San Francisco Forest Alliance urges you to support Supervisor Wiener’s “Green, Clean and Safe” budget package. We hope this proposal will help to address the need to maintain our park and Natural Areas trees, and thus preserve them rather than allowing them to deteriorate and then using contractors to cut them down when Capital funds become available. Maintaining the trees in our forests and our parks – and planting new ones – will help the city maintain and expand its tree canopy, which in turn reduces pollution, provides fresh air, battles global warming through carbon sequestration, and provides a habitat for hundreds of species of birds and animals. Research has shown that trees improve human health, and that when urban forests are destroyed, death rates rise. We also hope that this would fund park patrols particularly at night, thus reducing vandalism in our parks, and making them safer for everyone. It should also enable the city to clean up, maintain, and police our urban parks and plazas that fall into disrepair and misuse. This is a no-brainer. San Francisco is a great city, but not without safe parks, healthy trees, and clean public places. Please support this budgetary initiative!